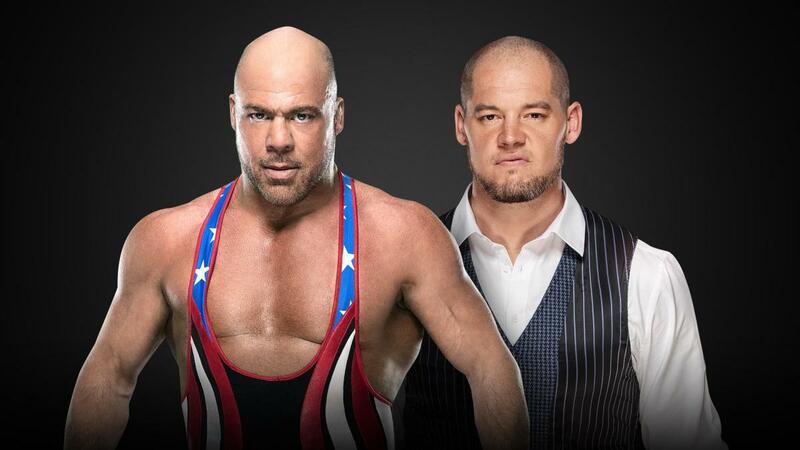 Kurt Angle has an opponent for his farewell match. On tonight's episode of Raw, it was announced that Angle will face Baron Corbin at WrestleMania 35. Angle got to pick his opponent in storyline and said that, while there are a lot of people he wants to face, Corbin is the only person he wants to beat. As part of his farewell tour, Angle defeated Chad Gable on tonight's Raw. Corbin came out after and cut a promo about how he's going to dominate his match against Angle at WrestleMania. Angle announced on last week's Raw that he'll be having his final match at WrestleMania. His program with Corbin dates back months, with Corbin replacing Angle as Raw's on-screen authority figure before the McMahons took over the role.